This image is an example of an Epidural Steroid Injection at NWA Interventional Pain in Rogers, AR. 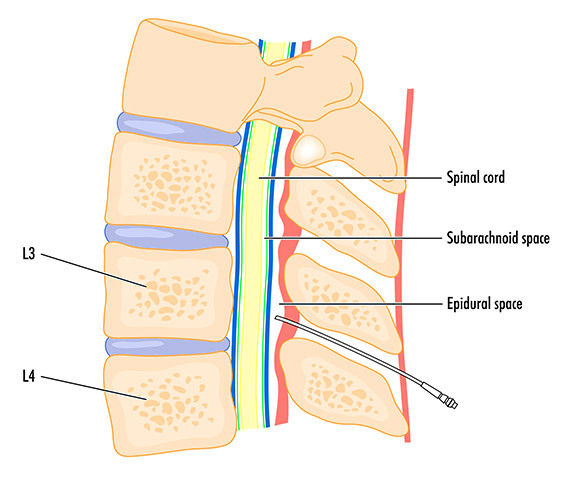 Epidural refers to the space in your spine that surrounds your spinal fluid and spinal cord. The epidural space is a space that can operate as a reservoir to deposit medication to help reduce pain. The medication that is injected is a corticosteroid, similar to cortisone, that could be injected elsewhere in your body. The goal of this procedure is to deposit a powerful anti-inflammatory medication close to the source of your spine pain. Since there are important structures such as nerves, blood vessels, and the spinal cord nearby, this procedure should be performed by a well-trained Interventional Pain Doctor under fluoroscopic guidance (x-ray mapping). 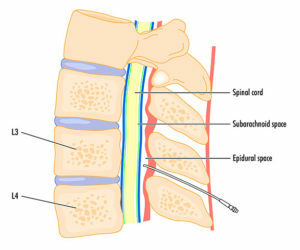 There are different epidural levels in the spine including cervical, thoracic, lumbar, and caudal. The level of the injection will be determined after a consultation with Dr. Irwin where your symptoms, physical examination findings, and imaging studies will be assessed to determine the appropriate location of the injection. The procedure is done with an administration of local anesthetic to numb the injection site and with guidance of a fluoroscope to ensure the needle is placed in the exact location desired. What Conditions are treated with an Epidural Steroid Injection (ESI)? ESI has been used for 50 years to help treat different types of spine related pain. The conditions most commonly treated with ESI include low back pain, neck pain, herniated disc pain, sciatica, failed back surgery syndrome, or pain from shingles. If you need something to help with anxiety related to the procedure, you should discuss this with Dr. Irwin. Receiving a pre-procedure medication can help reduce the anxiety. If you are taking any blood pressure medication, you should not skip any regular dose of this medication. But, if you are taking any medications that might thin your blood you should discuss this with Dr. Irwin to make sure we have approval from your Cardiologist to hold this medication for the appropriate number of days prior to the injection. The steroid might take up to 5 days to begin to take effect. Prior to this, you might actually have increased pain from injecting a volume of medication near your pain generator. If you have some injection site pain you can use ice to help reduce pain. 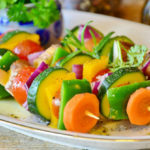 Do not use heat until 24 hours after the injection. Will I need to have the injection repeated? Patients will often receive profound relief from just their first injection. If this is the case for you and you are happy with your pain relief then you can cancel any remaining injections. If you have a less than satisfactory level of pain relief from your first injection we might repeat the injection. If you have not received any relief after two injections we will likely need to change course and pursue other treatments for your pain. Our hope is that the ESI will give months of pain relief. If this is the case we can repeat the injection every few months as needed for pain relief.